The fastest way to ruin turf is to cut it too short. Grass is simply a collection on plants and like nearly all plants, grass relies on photosynthesis for energy. Cutting off too much of a blade of grass can cut into its energy production and ultimately lead to unhealthier grass. Another reason to avoid mowing too low is the increased vulnerability to weeds. Taller grass can stop the sunlight from ever reaching low laying weeds such as crabgrass. So now that you know to not cut too short, just how short is too short? The answer is that it depends on your mowing habits. If you plan on cutting your lawn every day your lawn can handle much shorter lengths than if you are to mow every two weeks. The key is to never cut off too much at once. The classic rule of thumb is to never cut off more than 1/3 of the blade in one mowing. For a typical homeowner who cuts their grass once a week or so this means cutting cool season grasses to 2.5-3.5 inches. When grass clippings are mulched back into the ground there are many benefits. Mulched clippings act as a fertilizer and help your grass grow stronger. Another benefit to mulching is increased water absorption. When the miniscule pieces of mulched grass lay on your lawn they hold water in and as they slowly decompose they release it into your growing grass. These great benefits are taken away when you decide to bag your clippings. The biggest reason homeowners decide to bag is because they don’t want lumps of grass in their yard. Grass clumps are almost always caused by two easily avoidable factors: high moisture and long grass. Make sure you don’t cut after rain showers and never cut of more than 1/3 of the grass blades and you are very unlikely to see clumps. The purpose of the lawn mower blade is to CUT grass. The blade can do a tremendous job at this when sharp, and a very poor job when dull. When grass is cut with a dull blade it is actually ripped apart as opposed to being cut. This is very unhealthy for the plant and can detract from the appearance as well. A grass blade cut by a dull blade can have a ragged edge and may even turn brown. A typical homeowner should sharpen their blades at least once a year, and many say it should be twice. One of the most apparent mistakes that can be made when mowing your grass is mowing in the same direction every week. A lawn cut like this can usually be spotted very easily as there will be tracks from the wheels of your mower that can last even through the winter. While this is the most obvious to spot, it is also the easiest to fix. Simply make sure to remember to switch the mowing direction every time you mow the lawn. Generally only two directions (horizontal and parallel to your house) are necessary to avoid the negative effects of this mistake. While possibly the most obvious, safety must be brought up nonetheless. The most necessary protection comes when using a line trimmer or edger. When using this equipment make sure to always wear eye protection. Debris inevitably gets thrown around when using these tools and without protection your eye stands no chance. A more subtle form of protection that should always be used is ear protection. While the effects of going without are not seen immediately, the loud noises of small engines over time will surely have an effect on your hearing. 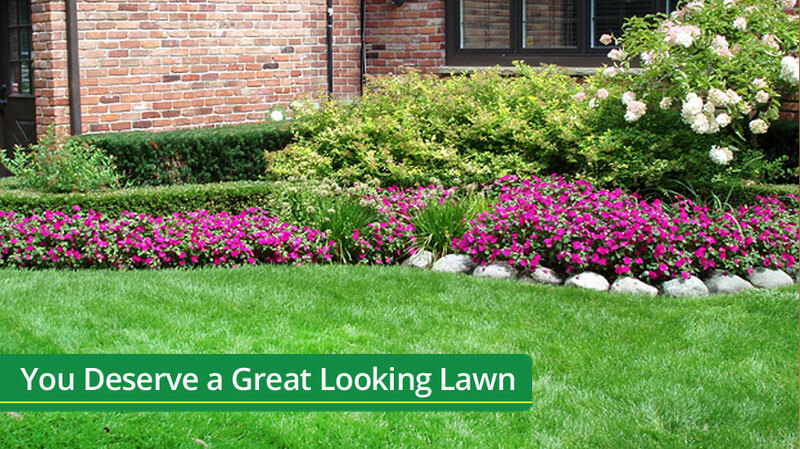 Avoiding these common pitfalls is the first step to a beautiful lawn. Follow them and do nothing else and you may have a great healthy lawn. Ignore them and your lawn will always struggle. If Our Service is Not Up to Your Standards We will Fix It Within 3 Hours for FREE. If We Fail to Meet This Deadline The Original Service is FREE as well!